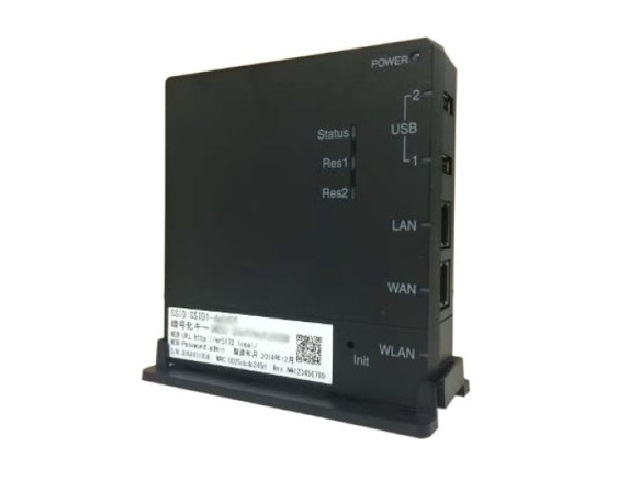 This gateway acts as HEMS controller, which supports and uses ECHONET-Lite protocol to communicate and control various home appliances. It also supports built-in IEEE802.15.4g/Wi-SUN interface, so it can directly communicate with a smart meter installed on household. The gateway integrates Java/OSGi framework and can provide service platform functionality for various Smart Home applications. The gateway supports built-in Wi-Fi(IEEE802.11a/b/g/n) interface, so it can communicate with various ECHONET-Lite based home appliances through Wi-Fi. It also supports two USB ports, in order for support of various sensors’ communication interfaces by additional USB sticks. The gateway supports remote management feature, Cloud-communication feature through RESTful APIs, and robust security feature, as basis.